Neverwinter Nights. Where does one even begin to talk about such a unique and incredible game? I guess the beginning. Neverwinter Nights is a 3D CRPG released in June 2002 by BioWare, then famous for the Baldur's Gate series, now better known for Mass Effect and Dragon Age. At the time it distinguished itself by featuring one of the most impressive graphics engines yet seen in an RPG. The game looked very, very good next to it's contemporaries, and I maintain still looks quite appealing today, some eight years on. And that was what initially interested me, really. It was a AAA RPG with an amazing look. So I got a copy. I was 12 years old, and it's a game that I played almost every day for the next six years, and I expect to be dusting off again for one more (last? Probably, but it makes me sad to say it) hurrah in the next few months. It's a game that I've never uninstalled, ever – simply reinstalled it every time I reformatted my HD or got a new PC, and I don't expect to. To me, it's like a web-browser - something that you have on your computer, no questions asked. At first, I found it a little boring. It was pretty, but the campaign that came with the original game wasn't particularly engaging – doubtless one of the worst pieces of story-telling BioWare has ever cooked up. But when I went online, there was no going back. BioWare was planning for user-created content and online play to drive the game, but I don't think even they predicted the explosion the game saw. The toolset that game with the game allowed for the creation of extremely high-quality custom content – campaigns and, fairly quickly, persistent worlds that were essentially fan-developed MMORPGs built in game's engine – with little-to-no programming know-how. Sure, more complicated stuff required a scripter, but there was a whole lot you could do through a simple, clean UI without ever entering a single string of code. Added to this was the dungeon master client – the ability to play the game as an unseen co-ordinator with the ability to spawn and control NPCs, among a large variety of other powers. This combination meant that there was an incredible potential for dynamic story-telling. The worlds built in the toolset brought to life by DMs and interacted with by players. I honestly believe that Neverwinter Nights represents and unmatched technical achievement when it comes to allowing players the freedom to creatively express themselves in a game, something which many games aspire to in a variety of different ways. The result was thousands of servers, and thousands of unique, play-created, player-administered worlds. And it was here that I discovered the joy of true role-playing in games. There were, of course, all kinds of different servers – PvP-focused servers for players who wanted to play a straight-up competitive online game, general action servers for people who wanted an experience akin to a standard MMO – fighting and questing, although this time with the added bonus of special events orchestrated by dungeon masters. But for me, it was all about the role-play servers. For the uninitiated, role-playing is where you create a character in a game world, and you play them as an actor on stage plays a character, acting and speaking as a character in the game world would. In short, to role-play is to become Nerdimus Prime. But I'll be damned if it wasn't the most compelling experience I've ever had in a video game. I went through dozens of servers, sometimes staying for months or even years before moving on, other times quickly determining that it wasn't the right place for me and moving off to find greener pastures. It wasn't until after playing the game for several years that I discovered the only server that I'd now be happy to call a home, Mystara – Black Horizons. I'm not saying the other servers I played on were crap, but none of them were right for me until Mystara, conveniently located in my own home country and with an active and interesting community, albeit a smaller one than many of the more popular American servers. Mystara, affectionately called Mysty by it's community, simply felt “right,” thanks to an excellent, well-developed and well-built setting, fantastic DMs with real style and creativity, and a community that was prepared to match them and participate actively in building interesting ongoing stories, both personal to their characters and connected to the world as a whole. I feel like I spent ten years playing on Mystara, going through numerous long-term characters and seeing the world change thanks to events that I occasionally got to play some small part in. It's strange, in a way. It was just a game. There was no central plot, no point, really, besides fun. It was an interactive story, collaboratively written by dozens of people in real-time, with no chance to go back and make edits. Even as a player, you were part participant and part story-teller. And despite the fact that there was no profound meaning to it all, and no single definable writer or mastermind, simply varying degrees of control on the events in the world, I still look back fondly on the events that I saw unfold there, and on the deep, very real characters I got to experience vicariously through my own avatars in the game world, until you almost felt like they were old friends, people that you knew personally. I look back on my time spent on Mystara, and to a lesser extent, other servers, as one looks back fondly on a novel they once read that was truly affecting, but that they don't expect to see again. There's a world of professional writers and directors and story-tellers that make billions of dollars a year to tell us stories that we remember, and that teach us something, and that we carry with us. Yet somehow, a group of random people on the internet was able to create a story more rich and compelling than most I have seen in any medium. Of course, every game has bugs. The great RPGs of today are largely singe-player affairs. For what they air, Mass Effect and Dragon Age are wonderful games. Fallout 3 is a masterful piece of work, as well. But I can't find them as compelling as I did Neverwinter Nights. They lack the human element, and the really true freedom to make the story go in any direction you choose, and the spontaneity. They lack so much of what makes up, to me, a true and pure role-playing experience. 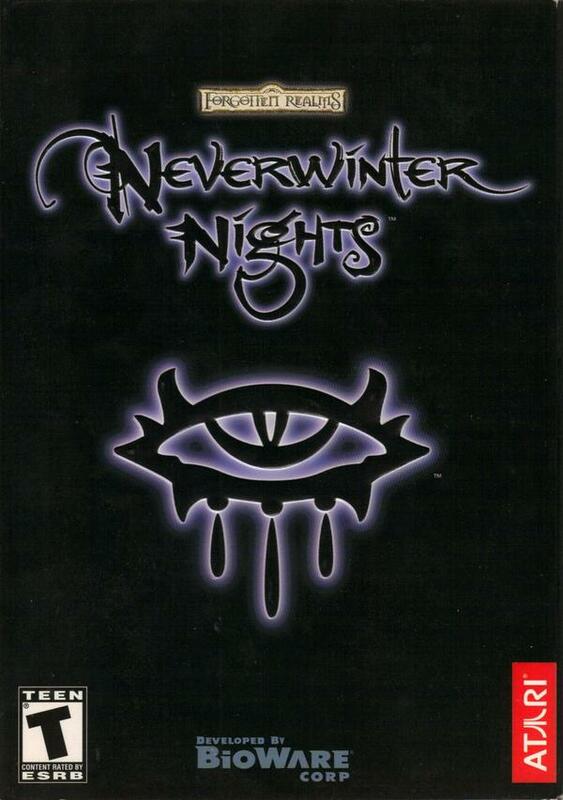 I wonder if we'll see a spiritual successor to Neverwinter Nights in the future, a game that can capture the same feeling again. I truly hope so, but I don't think I truly think so. I'd tell you to rush out and buy the game if you hadn't played it, but the truth is, the game is in it's twilight years now, after so long and two expansion packs, the player numbers are dwindling away and soon there will be nobody left. It's too late, and I'm sorry you weren't there to see it. Urgh. I feel like I just vomited sentimentality all over my keyboard. I hope you'll excuse me this time, but it's just where my head goes when I think about Neverwinter Nights, and I felt like I had to write something about a game that had such a strong impact on me personally and as a gamer.